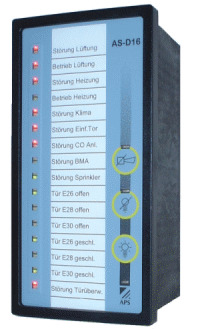 The indicator unit AS-D16 is equipped with 16 DUO-LED's designed for front panel assembly. 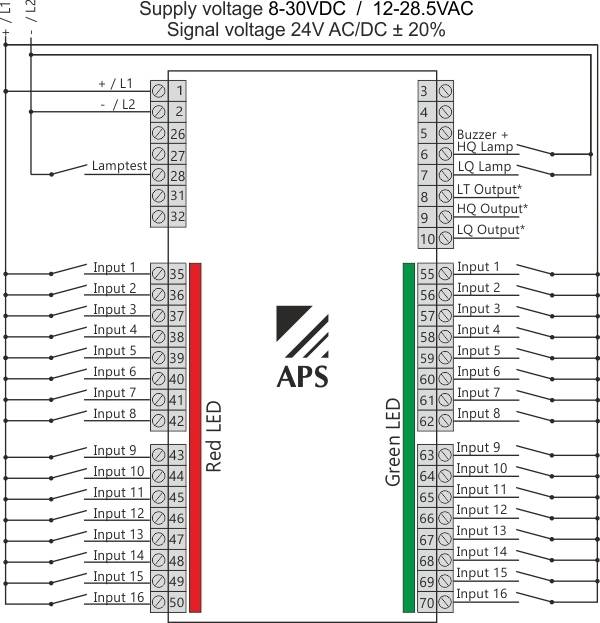 Besides the LED's the units has an integrated buzzer which can be activated by an seperate input. A button for the lamp test has been implemented into the front panel as well as additional control elements which allows the integration in a higher-ranked system. The LED's can be labelled using a insert strips. All electrical connections are realised by plug-in screw terminals on the back of the unit. *The outputs LT (Lamp test), LQ (Lamp ack.) und HQ (Horn ack.) are only enabled using a DC power supply. They were activated by pressing the buttons on the front of the unit. These outputs are current sinks and are not potential free. 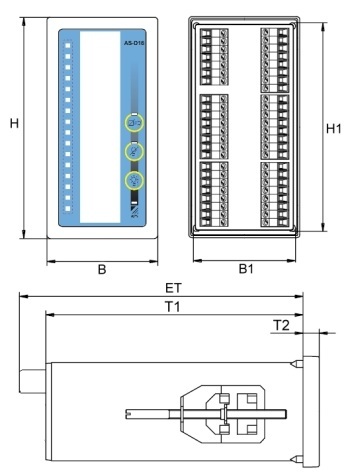 If potential free outputs are necessary, a external relay must be connected.